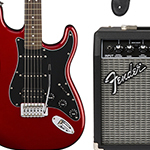 Fender has defined the electric guitar world for over half a century. Since 1946 and still to this day, Fender are one of the most iconic and celebrated brands within music. 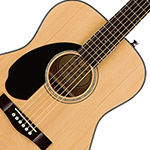 AC-0961708021 The new Classic Design acoustic guitars by Fender are truly a delight to behold, from their well-balanced tones to their striking appearance. 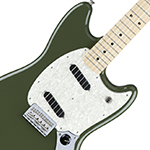 AC-0144042598 Becoming even more popular by the day the Fender Offset Mustang not only sounds unique with its dual Single Coil Pickups but looks fantastic in this olive green finish. Give us a call or pop in store for more information. AC-0961708032 The new and improved Classic Design acoustic guitars by Fender are taking the budget guitar market by storm! New and improved tone woods and construction as well as the addition of the concert body shape to the range. 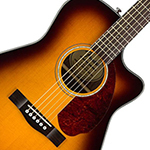 AC-0962710232 The Fender CC-140SCE Classic Design Electro Acoustic Guitar in Sunburst is a concert-sized model that boasts premium features at an affordable price. AC-0310121506 The Squier Affinity Mini Stratocaster Electric Guitar is everything you would expect from a squier strat but scaled down to a 3/4 compact size. Perfect for beginners or young children who may struggle with the stretch of a full size guitar. Give us a call or pop in store for anymore information. 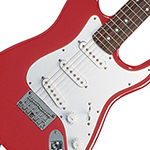 AC-0310121558 The Squier Affinity Mini Stratocaster Electric Guitar is a 3/4 size guitar. AC-0144622580 For the lefties - the Fender Standard Stratocaster featuring 3 x Single Coil Strat pickups, comfort contoured Alder body and 21 Medium Jumbo frets. In Olympic White finish with a Maple neck. AC-0193902721 The All new re-designed American Standard with all new pickups, neck shapes and more. Give us a call or pop in store for anymore information. 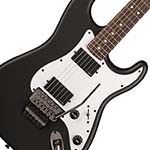 AC-0310600570 Squier Affinity Series guitars are the best value in electric guitar design. 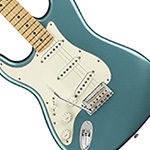 The Affinity Series Stratocaster delivers solid sound and style, and new for 2013 are some great new classic Fender finishes. AC-5250012941 Stunning Special Run Stratocaster model built in Japan. Lightweight basswood body with quintessential double cutaway. Slick maple neck shaped to a comfortable oval profile. AC-0115602303 Th Fender American Special Stratocaster bringing american made Fender guitars to a more affordable price point. AC-0303010500 The Classic Vibe Stratocaster 60s evokes that musically adventurous decade, with a few modern features added. AC-0144012582 The Duo-Sonic sticks to classic Fender design with the offset body shape, bolt on maple neck, and vintage-voiced single coil pickups. Finished in the stunning Capri Orange the guitar looks as good as it sounds. AC-0113012747 The All new American Professional Series, American standard with a twist! With upgraded pickups and new neck shapes these guitars are truly stunning. 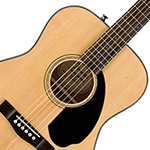 AC-0971110021 Fender FA-125 Dreadnought Acoustic Guitar - Natural - The FA-125 is a perfect solution for those wanting an acoustic guitar which offers great bang for the buck. Give our Guitar specialist a call for more information. AC-0113062785 The All new American Professional Series, American standard with a twist! With upgraded pickups and new neck shapes these guitars are truly stunning. 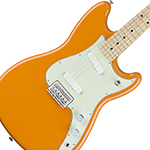 AC-0301280500 Squier Vintage Modified, Vintage styling with modern edge and playability. AC-0113032706 The All new American Professional Series, American standard with a twist! With upgraded pickups and new neck shapes these guitars are truly stunning. 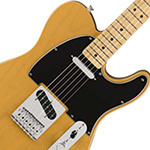 AC-0303029550 The Squier Classic Vibe 50s Telecaster Butterscotch Blonde Provides a vintage look and sound at an unbelievable price point! Give us a call for any more information. AC-0303025507 Featuring a beautifully finished pine body, with alnico III pickups and classic blackguard looks, the Squier Classic Vibe 50s Telecaster offers distinctive tone and looks. In Vintage Blonde finish. 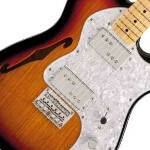 AC-0115802307 The Fender American Special Telecaster brings a quality USA made fender guitar to a price point more open to all levels of players and budgets. AC-0303000503 For unmistakable 50s era Fender vibe and tone, look no further than the Squier Classic Vibe 50s Stratocaster! In 2 Colour Sunburst with a Maple neck. 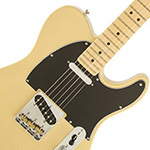 AC-0303027550 The Squier Classic Vibe 50s Telecaster Butterscotch Blonde Provides a vintage look and sound at an unbelievable price point! Give us a call for any more information. AC-0113012721 The All new American Professional Series, American standard with a twist! With upgraded pickups and new neck shapes these guitars are truly stunning. AC-0320322565 The new Contemporary range from Squier opens up the market meaning these guitars are designed for the modern players with different styling and pickup configurations, meaning there is now a Squier available for every style of playing. Give us a call or pop in store for any more information. AC-0145213500 Based on the classic Standard Telecaster design with a modern twist. A true workhorse of a guitar with pickups suitable for any style you can think of and a comfortable smooth neck. Give us a call of pop in store for anymore information. AC-0146903500 The new and updated version of the Mexican Standard the Player series Jazzmaster boasts a fat and thick sound to match its traditional look. Give us a call or pop in store for anymore information. 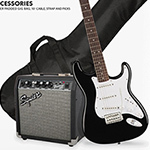 AC-0301612406 The Squier Affinity 10G Stratocaster guitar package includes everything you need to get started on your way to learning electric guitar. Give us a call or pop in store for anymore information. 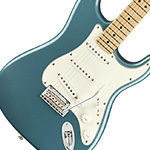 AC-0141103372 The Fender Classic Player 60s Stratocaster with a Pau Ferro fretboard and finished in Sonic Blue. Finance and part exchange available, give us a cal or pop in store for anymore information. AC-0113000706 The go to guitar for professionals and home players alike! 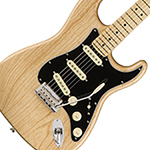 The american Standard Stratocaster at an outstandingly reduced price. Give us a call or pop in store for anymore information. AC-0144503500 The new Fender Player Series Stratocaster with a Pau Ferro neck in 3-Colour Sunburst, finance and part exchange available. Give us a call or pop in store for anymore information. AC-0147102327 The fender Deluxe Stratocaster features a maple neck and finished in the stunning Sapphire Blue Transparent finish. Finance and part exchange available. Give us a call or pop in store for anymore information. AC-0961518021 The CD-140S in Natural finish will provide you with years of playing satisfaction, no matter what level you are at. 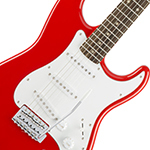 AC-0144503525 The brand new Fender Player Series Stratocaster featuring a Pau Ferro Neck and finished in Sonic Red, finance and part exchange available. Give us a call or pop in store for any more information. AC-0144603532 The Fender Standard Stratocaster is assembled in Mexico using USA parts for great value without compromising tone! In Brown Sunburst finish with a Pau Ferro neck. 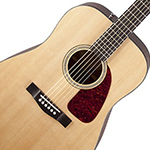 AC-0970743062 The Fender Newporter Player Electro-Acoustic Guitar is brand new to the California Series for 2019. Part Exchange and Finance available. Give us a call or pop in store for anymore information. 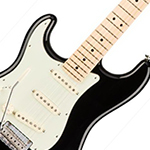 AC-0144502506 The new Fender Player Series Stratocaster Maple Neck Black, finance and part exchange available. Give us a call or pop in store for any more information. AC-0320327510 New for 2018 the contemporary range brings more versatility and options for a smaller price points. This model boast Dual Humbucking active pickups and a licensed floyd Rose tremolo making it ideal for your Rock and Metal needs. 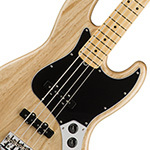 AC-0146103502 Fender set the standard for rock and pop musicians everywhere with the Precision Bass. An elegantly enduring design in an innovative instrument that transformed popular music. In Lake Placid Blue finish with a Pau Ferro Neck. AC-0113072750 The All new American Professional Series, American standard with a twist! With upgraded pickups and new neck shapes these guitars are truly stunning. AC-0144512513 Built on the original stratocaster design using modern technology the player series has been redesigned to provide everything a modern guitar player could want on a format which everyone knows and loves. Give us a call or pop in store for anymore information. AC-0113062721 The All new American Professional Series, American standard with a twist! With upgraded pickups and new neck shapes these guitars are truly stunning. AC-0113062750 The All new American Professional Series, American standard with a twist! With upgraded pickups and new neck shapes these guitars are truly stunning. AC-0113062703 The All new American Professional Series, American standard with a twist! With upgraded pickups and new neck shapes these guitars are truly stunning. AC-0113010706 The All new American Professional Series, American standard with a twist! With upgraded pickups and new neck shapes these guitars are truly stunning. AC-0113062706 The All new American Professional Series, American standard with a twist! With upgraded pickups and new neck shapes these guitars are truly stunning. AC-0113010700 The All new American Professional Series, American standard with a twist! With upgraded pickups and new neck shapes these guitars are truly stunning. 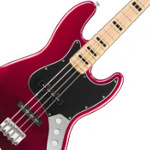 AC-0306702509 The Fender Squier Vintage Modified 70s Jazz Bass is an excellent sounding bass with great looks at a price to suit beginners and playability. AC-011-5600-303 Th Fender American Special Stratocaster bringing american made Fender guitars to a more affordable price point. AC-0113062700 The All new American Professional Series, American standard with a twist! With upgraded pickups and new neck shapes these guitars are truly stunning. AC-0113010705 The All new American Professional Series, American standard with a twist! With upgraded pickups and new neck shapes these guitars are truly stunning. AC-0144502534 The new Fender Player Series Stratocaster with a Maple Neck and new buttercream finish, finance and part exchange available. Give us a call or pop in store for any more information. AC-0961712032 The CP-60S acoustic guitars parlour body style ensures a comfortable playing experience, thanks to its smaller size. It also sings with a distinctly warm and intimate voice traditionally embraced by folk and blues players, making this model an ideal choice for the up-and-coming finger style player. 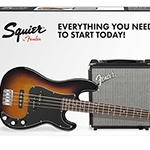 AC-0301972432 The Squier Affinity Series Precision Bass PJ Pack includes everything you need to start playing bass! Give us a call for more information or pop in store and give it a try. 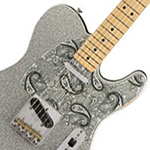 AC-0145902317 Now, thanks to Fender, you can own your very own Brad Paisley signature Telecaster, which comes complete with a road-worn Silver Sparkle finish, see through scratchplate (with black and silver paisleys), and a whole host of premium-grade appointments. Not to mention that funky little hat logo on the headstock. AC-0144552531 The new Fender Player Series Plus Top Stratocaster offers everything you love about the classic strat but with the addition of a stunning flame maple top sitting ontop on the Alder body. Give us a call or pop in store for anymore information. AC-0144502513 The Fender Player Series Stratocaster is built on the original stratocaster design using modern technology, redesigned to provide everything a modern guitar player could want on a format which everyone knows and loves. Give us a call or pop in store for anymore information. 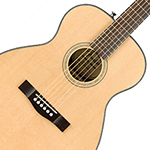 AC-0961709021 The new Classic Design acoustic guitars by Fender are truly a delight to behold, from their well-balanced tones to their striking appearance. Perfect first guitar for any left handed player! 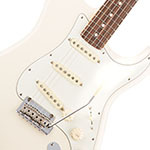 AC-0115700305 The Fender American Special Strat HSS in Olympic White with Rosewood Fingerboard offers all the best American build quality and parts at an affordable price! 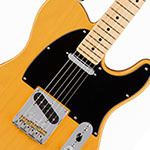 AC-0145102550 The Fender Standard Telecaster MN electric guitar in Butterscotch Blonde inherits expertise gained over several decades of guitar craftsmanship. AC-0144503519 The brand new Fender PLayer series Stratocaster with a Pau Ferro Fingerboard, finished in Sage Green Metallic. Finance and part exchange available. Give us a call or pop in store for anymore information. 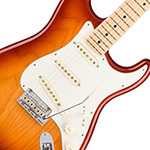 AC-0144502500 The New Fender Player Series Stratocaster Maple Neck in 3-colour Sunburst, finance and part exchange available. Give us a call or pop in store for anymore information. 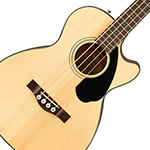 AC-0961710006 The Fender CC-60SCE Concert Electro Acoustic Guitar features a solid spruce top and mahogany body, for a warm resonant tone that sits well in any mix. AC-0144503515 The New Fender Player Series Stratocaster Pau Ferro Neck in the stunning Polar White, finance and part exchange available. Give us a call or pop in store for anymore information. 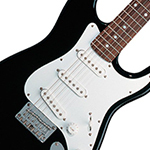 AC-0144503506 The new Fender Player Series Stratocaster Pau Ferro Neck Black, finance and part exchange available. Give us a call or pop in store for any more information. 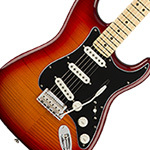 AC-885978654932 The Fender American Special Stratocaster offers all you would expect from a fantastic quality american built guitar at a more affordable price. AC-0301814409 Everything you need to get going on the electric guitar! The great build quality of Fender but at an unbeatable price. 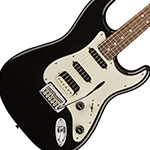 AC-0310600506 The Affinity Strat is an excellent value guitar, ideal for any age of beginner. In Black finish with a Rosewood neck. AC-0137002321 The Fender Classic 70s Stratocaster features great 70s style and sound, with a flamboyant old-style headstock. Made in Mexico, using USA parts. In Natural finish with a Maple neck. AC-0131202303 Full of 1950s heart, the Classic 50s Telecaster comes just like they used to, with a pair of single coil Alnico pickups, vintage bridge and an Ash body. In 2 Colour Sunburst with a Maple neck. AC-0137702392 The Fender Classic 72 Telecaster Deluxe is a fully featured guitar from the Fender Classic Series, with a pair of wide ranging humbuckers and great 70s stylings. In Walnut finish with a Maple neck. 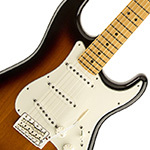 AC-013-1000-300 Fender Classic 60s Stratocaster features USA Parts assembled in Mexico. Great value great tone. In 3 Colour Sunburst finish with a Rosewood neck. AC-0131000302 The Fender Classic 60s Strat features USA Parts and is assembled in Mexico for excellent value and great tone. In Lake Placid Blue with a Rosewood neck. AC-013-1000-309 The Fender Classic 60s Strat features USA Parts and is assembled in Mexico for excellent value and great tone. In Candy Apple Red with a Rosewood neck. AC-0136760306 With Active Noiseless Jazz Bass pickups, classic styling and three band EQ, the Fender Deluxe Active Jazz Bass is ready to deliver thundering tone! In Black finish with a Rosewood Neck. AC-0136860306 The Fender Deluxe Active Jazz Bass 5 String guitar was designed with the gigging bass player in mind, with beefed up electronics and superb playability. In Black finish with a Rosewood neck. AC-013-6860-332 The Fender Deluxe Active Jazz Bass 5 String guitar was designed with the gigging bass player in mind, with beefed up electronics and superb playability. In Brown Sunburst finish with a Rosewood neck. AC-0137500306 The Fender Classic 72 Telecaster Custom features many of the options from the several designs issued during 1972, for a fully featured, versatile guitar with classic tone. In Black finish with a Rosewood neck. AC-0131002340 The Fender Classic 50s Strat features USA Parts and is assembled in Mexico for great value and great tone. In Fiesta Red with a Maple Neck. AC-0131002304 The Fender Classic 50s Strat features USA Parts and is assembled in Mexico for great value and great tone. In Daphne Blue with a Maple Neck. AC-013-1002-303 Fender Classic 50s Stratocaster features 50 styling, USA parts and is assembled in Mexico for outstanding value without sacrificing tone! In 2 Colour Sunburst finish with a Maple neck. AC-0310760532 The Squier Affinity Jazz Bass will astound you for value. An ideal bass for any age of beginner and a great way to experience Fender quality with a minimum spend. In Brown Sunburst finish with a Rosewood Neck. AC-032-6608-500 The Vintage Modified Fretless Jazz Bass is an excellent bass for beginners and a gig backup. 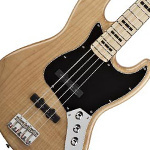 AC-032-6702-521 The Fender Squier Vintage Modified 70s Jazz Bass is an excellent sounding bass with great looks at a price to suit beginners and playability. AC-030-0574-500 The new Squier Deluxe Active Jazz Bass is the perfect, affordable 4 string bass for those bassists wanting high output and thundering tones. AC-014-1102-344 Fender 50s Classic Player Stratocaster guitar in Shoreline Gold finish. With USA parts but made in Mexico for fantastic sound and playability for a lot less money. 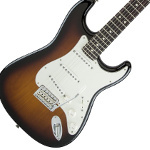 AC-014-1102-303 Fender 50s Classic Player Stratocaster in 2 Colour Sunburst. USA Parts assembled in Mexico. 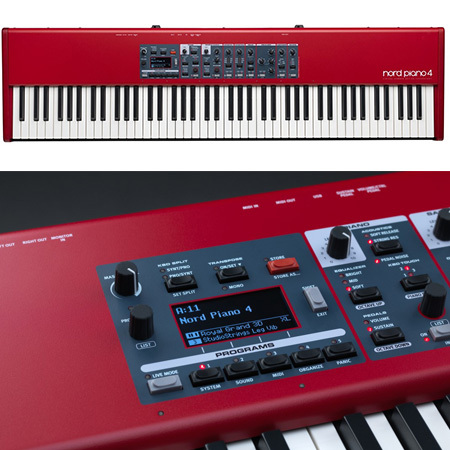 Great value and great tone! 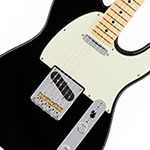 AC-014-1502-307 The Fender Classic Player Baja Telecaster features such as a soft V-shaped neck, four way switching and a terrific sound. 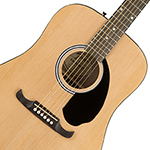 AC-0961514021 The CD-140SCE Electro-Acoustic in Natural finish features a smooth feel and attractive finish. 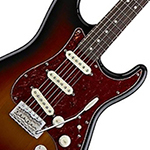 AC-011-5700-300 Brand new for 2010, the American Special Strat HSS in 3 Colour Sunburst offers all the best American build quality and parts at an affordable price! 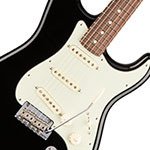 AC-011-5700-306 Brand new for 2010, the Fender American Special Strat HSS in Black with Rosewood Fingerboard offers all the best American build quality and parts at an affordable price! AC-031-0620-532 This Squier Affinity Strat Left Handed comes in a beautiful sunburst colour, with a smooth maple neck and Pau Ferro fingerboard. 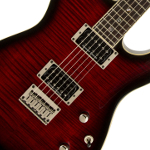 Ideal for any age of beginner - a great leftie electric guitar for a great price! AC-031-0600-532 The Affinity Strat in sunburst is ideal for any age of beginner - a great starting point for the budding guitarist. 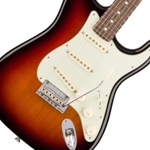 AC-014-1100-300 The Fender 60s Classic Player Stratocaster is built using USA parts for a true 60s sound. 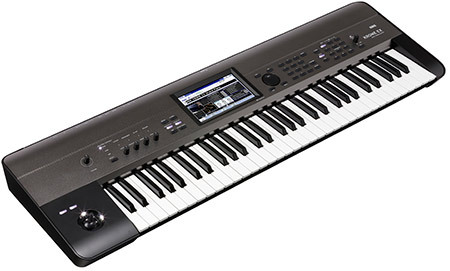 Features great spec for a guitar at this price. 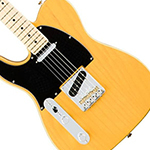 AC-0310202506 The Affinity Tele - Ideal for any age of beginner, a great telecaster to start to learn to play guitar. AC-0137002305 The Fender Classic 70s Stratocaster features great 70s style and sound, with a flamboyant old-style headstock. Made in Mexico, using USA parts. In Olympic White finish with a Maple neck. 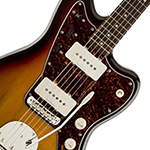 AC-0302000500 A lot of guitar for little money, not only does the Squier Vintage Modified Jaguar look the part, with a pair of higher spec Duncan Design pickups it will rock your world too. AC-0302000505 A lot of guitar for little money, not only does the Squier Vintage Modified Jaguar look the part, with a pair of higher spec Duncan Design pickups it will rock your world too. In Olympic White finish with a Rosewood neck. 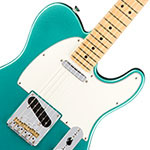 AC-0241102542 The Modern Player Telecaster Plus HSS is that rare bird among Telecasters-a triple-pickup model-further distinguished by a pine body and mini-toggle coil-split switch for the Modern Player humbucking bridge pickup. In Honeyburst finish. AC-013-2000-300 Capturing the 70s vibe, the Fender Classic 70s Jazz Bass features vintage-style Alnico pickups, ultra-slim neck and block fretboard inlays. In Sunburst finish with a Rosewood Neck. AC-0132000306 Capturing the 70s vibe, the Fender Classic 70s Jazz Bass features vintage-style Alnico pickups, ultra-slim neck and block fretboard inlays. In Black finish with a Rosewood Neck. AC-0131800300 Capturing the essence of the decade, the Classic 60s Jazz Bass from Fender is as tuneful and groundbreaking as the era it debuted in. In 3 Colour Sunburst finish with a Rosewood Neck. AC-0131800305 Capturing the essence of the decade, the Classic 60s Jazz Bass from Fender is as tuneful and groundbreaking as the era it debuted in. In Olympic White finish with a Rosewood Neck. AC-0131800306 Capturing the essence of the decade, the Classic 60s Jazz Bass from Fender is as tuneful and groundbreaking as the era it debuted in. In Black finish with a Rosewood Neck. 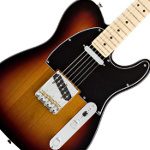 AC-0137702306 The Fender Classic 72 Telecaster Deluxe is a fully featured guitar from the Fender Classic Series, with a pair of wide ranging humbuckers and great 70s stylings. In Black finish with a Maple neck. 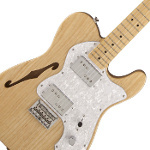 AC-0137502306 The Fender Classic 72 Telecaster Custom features many of the options from the several designs issued during 1972, for a fully featured, versatile guitar with classic tone. In Black finish with a Maple neck. AC-0131002357 The Fender Classic 50s Strat features USA Parts and is assembled in Mexico for great value and great tone. In Surf Green with a Maple Neck. AC-0113110706 For the purest and most powerful HSS sound, Fender enlisted acclaimed humbucking pickup guru Tim Shaw to create a brand-new bridge pickup. In Black finish with a Rosewood Fingerboard. 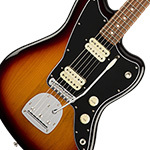 AC-0302000557 A lot of guitar for little money, not only does the Squier Vintage Modified Jaguar look the part, with a pair of higher spec Duncan Design pickups it will rock your world too. In Surf Green finish with a Rosewood neck. 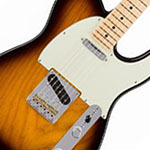 AC-031-0203-550 The Squier Affinity Tele designed by Fender is perfect for any age of beginner. A great sounding telecaster with looks to match! In Butterscotch Blonde finish with a Maple neck. 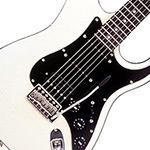 AC-0302200541 The Vintage Modified Mustang is a welcome addition to the Squier family, with 24 inch scale, Duncan Designed pickups and sleek looks. In Butterscotch Blonde finish with a Rosewood neck. AC-0144602580 Carrying on the tradition of Fender, the Standard Stratocaster is a high quality, great value electric guitar, made in Mexico using USA parts. In Arctic White finish with a Maple Neck. AC-013-7702-300 The Fender Classic 72 Telecaster Deluxe shares many excellent features from its ancestor, including a pair of wide ranging humbuckers, large strat headstock and great playability. In 3 Colour Sunburst with a Maple neck. AC-0131202301 The Fender Classic 50s Telecaster evokes the spirit of rock and roll, with a pair of single coil Alnico Tele pickups, vintage bridge and Ash body. In White Blonde finish with a Maple neck. AC-0306722521 Exuding authentic 70s looks and tone, the Vintage Modified Jazz Bass from Squier is a must have practice or backup bass. AC-0301227506 With a large 70s styled headstock, vintage gloss neck, classic black-on-black looks and Duncan Designed pickups, the Squier Vintage Modified 70s Strat packs a punch in looks and tone. AC-011-6400-705 Fitted with Custom-Wound Bare Knuckle Johnny Marr pickups for that warm jangle and twang Johnny Marr is known for, the Johnny Marr Signature Jaguar is a truly powerful guitar. In Olympic White finish with a Rosewood neck. 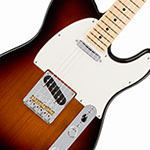 AC-0141502303 The Fender Classic Player Baja Telecaster features a Twisted Tele and Broadcaster pickup with four way switching, with V shaped neck and custom shop design. 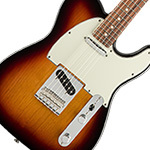 In 2 colour sunburst finish with a Maple neck..
AC-0141502306 The Fender Classic Player Baja Telecaster features custom 50s pickups with four way switching, with V shaped neck and custom shop design. In Black finish with a Maple neck. 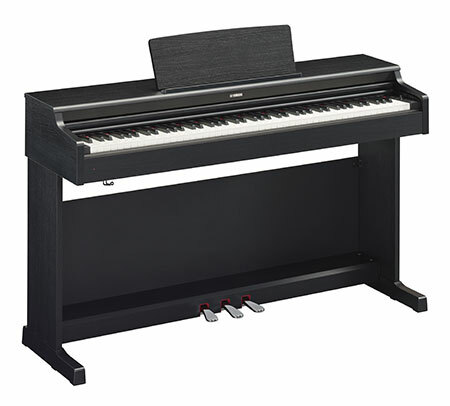 AC-0962713221 The new Classic Design CT models feature a brand new Travel body shape. 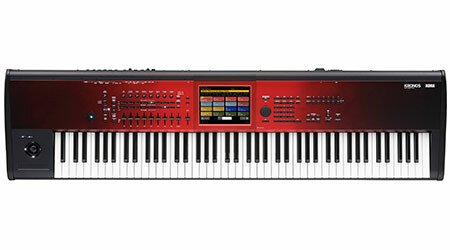 Its compact and tasteful body size makes it the perfect guitar for on the go musicians. Give us a call or pop in store for more information. AC-0302200540 The Vintage Modified Mustang is a new addition to the Squier family, with 24 inch scale, Duncan Designed pickups and sleek looks. In Fiesta Red finish with a Rosewood neck. 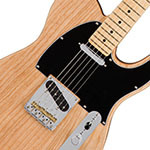 AC-0145102580 The Fender Standard Telecaster is all about powerful tone and smooth playability. A proven guitar for all musical genres since the early 50s. In Arctic White finish with a Maple neck. 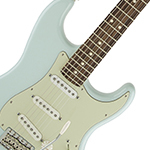 AC-0303000546 The Squier Classic Vibe Stratocaster 50s electric guitar is a sublime instrument that provides the unmistakable character and tone from the classic 50s models, in a period correct Sherwood Green finish. AC-0141010303 Fender and Dave Murray have collaborated on yet another ferocious signature model for the longtime Iron Maiden guitarist. 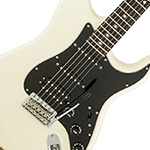 The Dave Murray California Series Stratocaster is inspired by Murrays longtime onstage go-to guitar, combining time-honored Strat tradition with the modern roar of three Seymour Duncan humbucking pickups, the fast feel of a compound-radius fingerboard, and the high-performance reliability of a Floyd Rose bridge and nut. 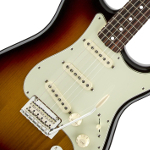 Fender have been crucial to the success of many artists - from Jimi Hendrix to Sonic Youth - models such as the Fender Strat, Tele, Jazzmaster and Jaguar have been as influential as the musicians themselves. Established in 1983 A&C Hamilton Musical Instruments maintains a healthy balance of traditional business values with a keen sense for new business ideas. Getting new customers and keeping existing customers are equally important to us. As the internet has changed all our lives we continue to grow from strength to strength applying the tried and trusted methods of traditional retail sales to this new world of internet sales and store sales. The world is a smaller place but we are all still individuals within it. It is so much more fun selling to some one you can have a chat with, either email phone or in the shop than just sending boxes via couriers. Our company has a solid financial basis to trade and all premises are owned in full by the directors. Our Music Shop is on the outskirts of Preston with forecourt parking for 8 cars. Our closest town is Blackpool and nearby is Lytham St Annes. Blackburn and Southport are close by. Lancaster, Morecambe, Wigan, Burnley, Ormskirk, Bolton, Leigh, Accrington are also near me. Manchester Liverpool and Cumbria are around an hour away. A&C Hamilton is registered in England and Wales 4931075. Registered office: 946-950 Blackpool Road, Lea, Preston, PR2 1XN. A&C Hamilton acts as a credit broker and only offers credit products from Secure Trust Bank PLC trading as V12 Retail Finance. A&C Hamilton Ltd is authorised and regulated by the Financial Conduct Authority. Our registration number is 713396. Credit provided subject to age and status.